The new Tempo Collection brings even more function and style to this low-carbon, lightweight and easy to assemble (and disassemble!) range of furniture. 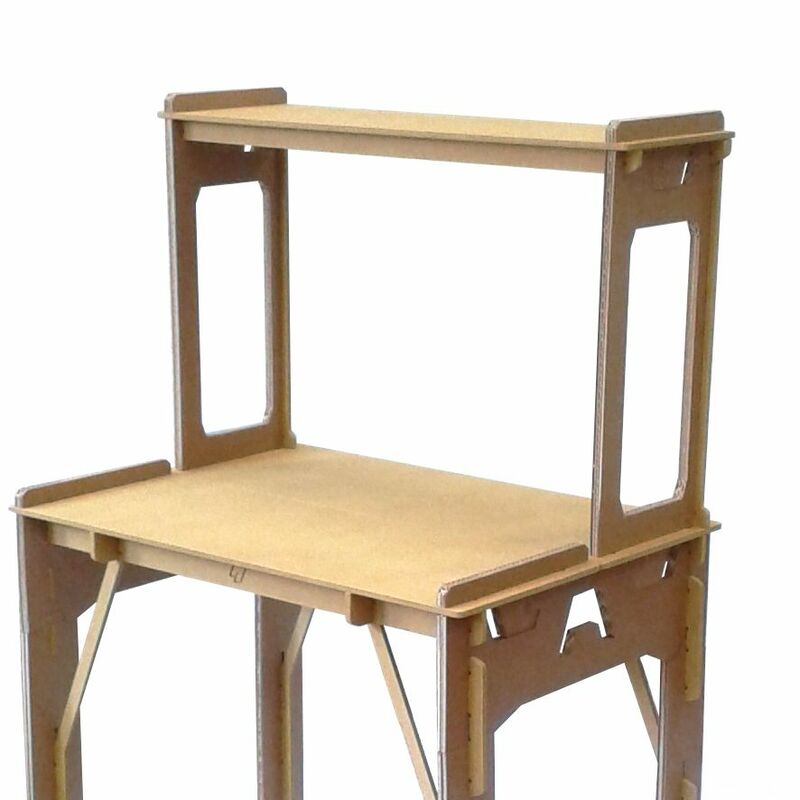 The desk (with optional shelf) now comes with removable legs, making it even more ideal for quick transporting. The desk also has a new side hook adding a handy place for storing your bag. The new stool design benefits from the new desk structure, making it stronger than ever. The shelving system and unit has been redesigned to be more compact and stronger to withstand the day-to-day use of small fast-paced urban environments. The desk is offered in light grey, black and yellow fibreboard with triple thick cardboard legs.